This is the second article in our series on the absolute fundamentals of web development. 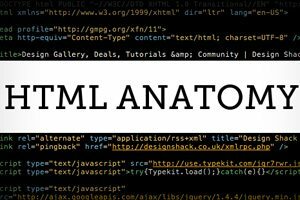 Our first article explained in detail what HTML is on a conceptual level. We looked at what a markup language is, what tags are and how HTML compares to other important pieces of the web development puzzle such as CSS. Join us today as we move on and take a look at each basic piece of an HTML document. I’ll explain all that stuff at the top of an HTML file that confuses you and outline the basic structure that you’ll follow for creating your own HTML files. When you’re just starting out in code, most people will simply give you a template for all of the code above without really explaining what it all does. This can leave a sizable hole in your education so it’s important to read through this information and attempt to understand what you can. Stay with us in this series and check back soon as we answer another important question: What is CSS?